HERMOSA BEACH, Calif. (KABC) -- It's the unofficial start to the summer in the South Bay. 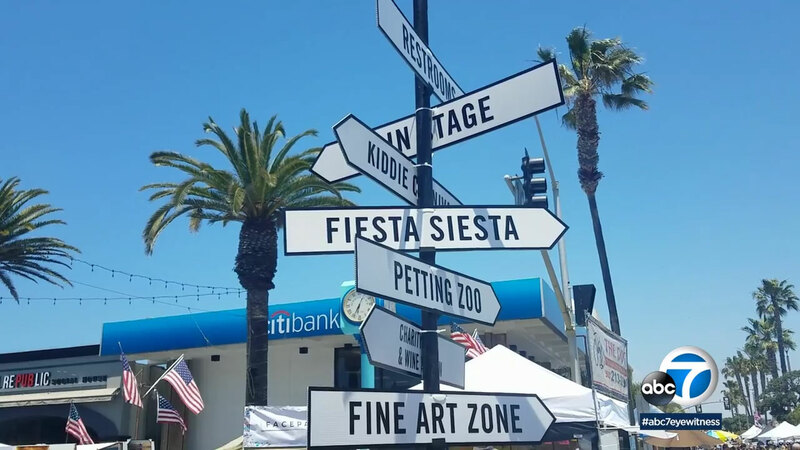 Memorial Day weekend marks the start of the 46th annual Fiesta Hermosa. The three-day festival takes place on the Hermosa Beach Pier Plaza and surrounding streets. This year, there will be a stronger emphasis on the Arts & Crafts fair, with several local artists being featured. More than 300 artists and crafters are featured. Other highlights include the Food Court and the Beer & Wine Garden. There's also a Kiddie Carnival featuring a 30-foot slide. And the main attraction is three stages of live music. Fiesta Hermosa takes place May 26 to the 28 from 10 a.m. to 6 p.m.